I hadn't been to Target since Friday and I was starting to get the shakes, so I made my way to the ol' bullseye this afternoon. I only picked up seven additional items beyond my list, did a lap to make sure there wasn't any new must-have inventory, then headed to the check-out line. I couldn't believe my fortune when I spotted my favorite Target cashier, with nary a line to her register. To the customer placing her bags in a cart she said, "I used to sew. But then I started working." I can't be certain, but I'm pretty sure this statement was in no way relevant to their prior conversation. As she began scanning my items she said, "I like to buy my husband candy bars. After work I just like to unwind, eat some candy bars, and watch TV. Dancing with the Stars or something like that." Then she spotted my two boxes of strawberries and said, "These are only $1.50!" 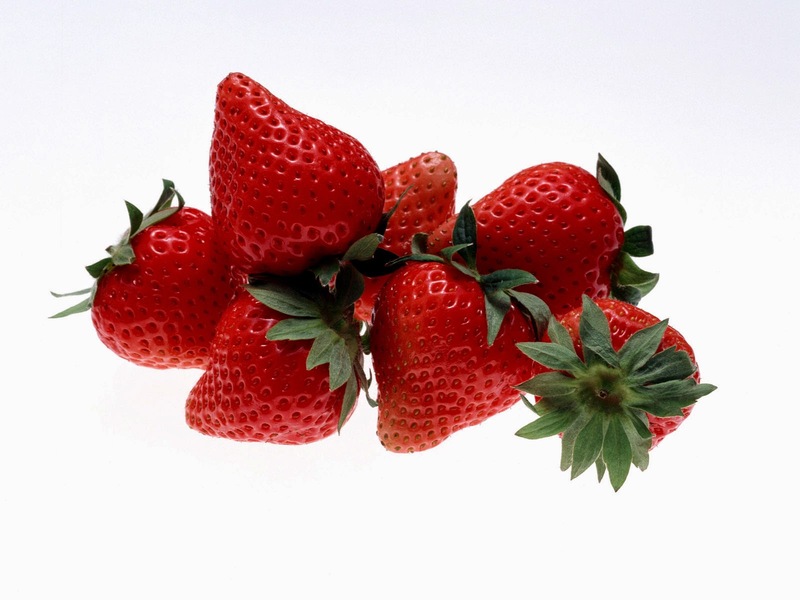 The actual strawberries I purchased and totally not an image I stole from Google. She leaned toward me, lowered her voice and said, "You need some cake and whipped cream to go with these," as though she were sharing the very secret of life and swearing me to shortcake secrecy. "I used to make sponge cake," she continued, "It took like twelve eggs. But you know, I was at home, and I had the time, but then I started working and now I just buy cake." Maybe it was a warning. Sure I might have time now to whip up a sponge cake, but who knows what lies ahead in my future? Perhaps I'll only have the time and the means for smaller luxuries such as candy bars and Dancing with the Stars. It was while I chewed on this existential conundrum that I noticed "Dolores"' rather loose bagging technique. Granted, we can't all be a Harmons Paper Bagging Champion such as myself, but even beginners know not to place produce and shower gel in the same sack, right? I'm beginning to suspect that Dolores is coasting on her charms and tales of care-free-er days, you know, before she had to work. Or maybe she's just having an off day. Either way, LOVE this look; elegant, lovely and really comfortable. My only issue with my shoes was that the strap was a little close but i can live with that.